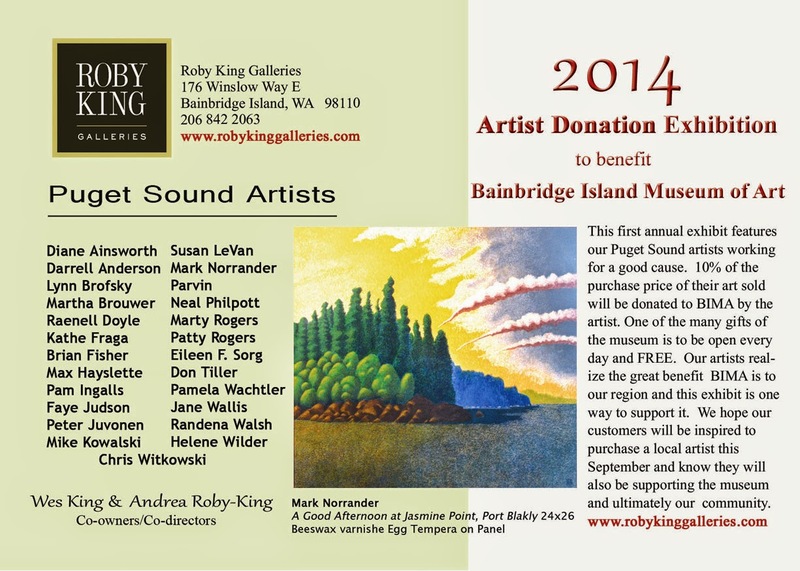 Roby King Galleries hosts its first annual exhibition of Puget Sound artists benefiting the Bainbridge Island Museum of Art. It's a big show. I hope it goes well! Here is the invitation and artists who are participating.